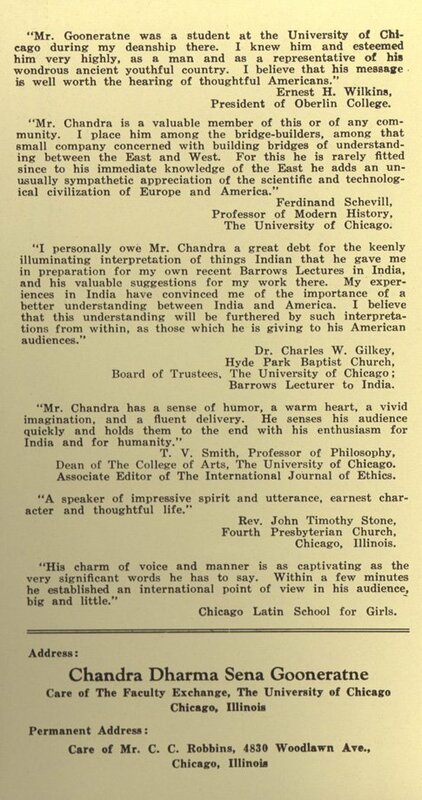 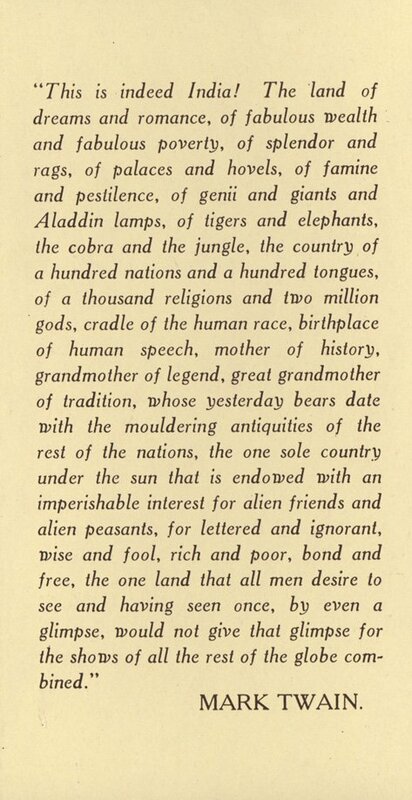 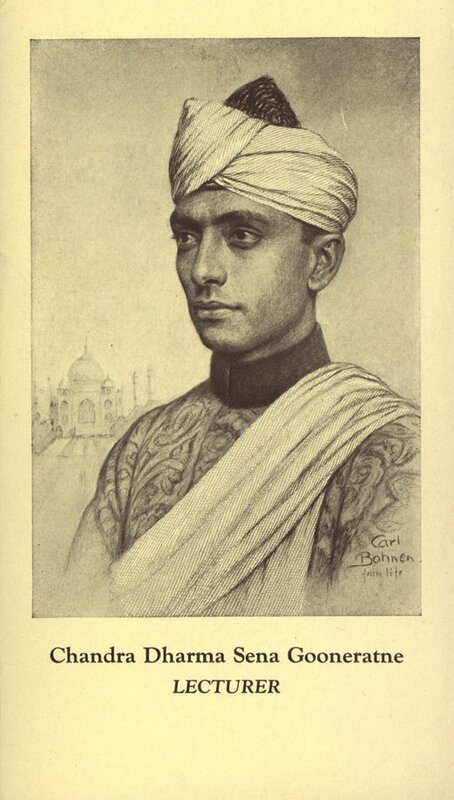 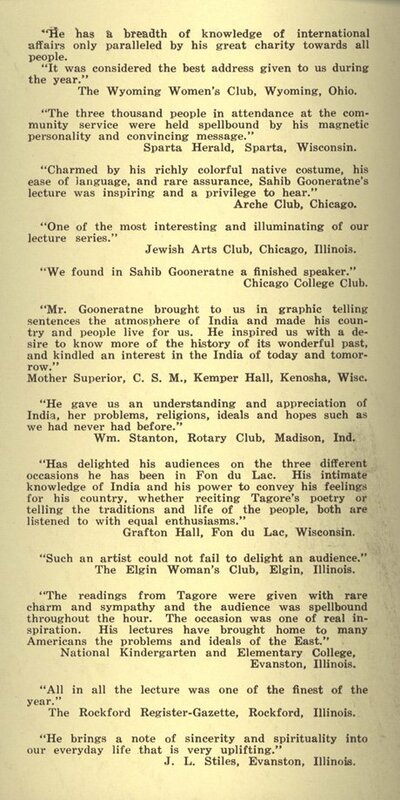 Pamphlet from the 1920s describing the lectures of Ceylon-born Chandra Gooneratne for the Circuit Chautauqua. 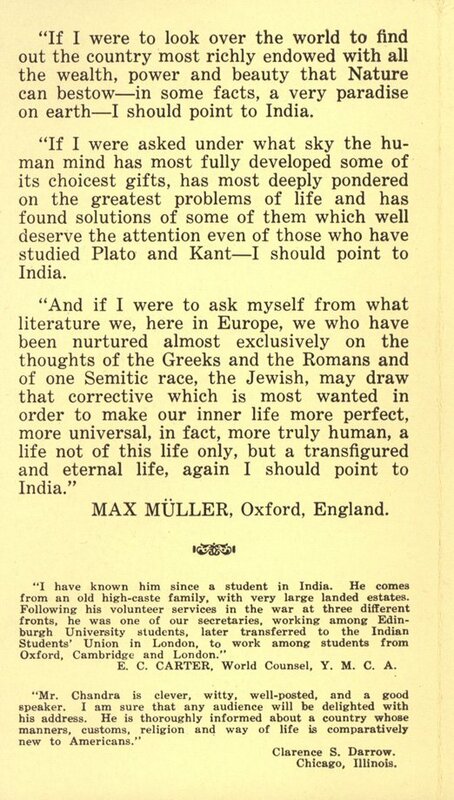 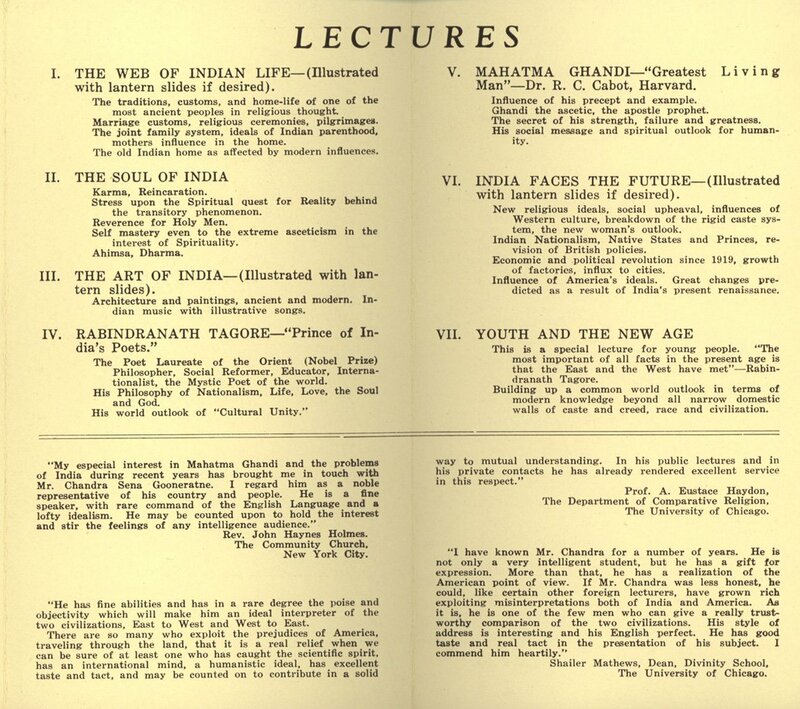 The lecture titles include the following: "The Web of Indian Life," "The Soul of India," "The Art of India, "Rabindranath Tagore," "Mahtma Gandhi," "India Faces the Future," and "Youth and the New Age." 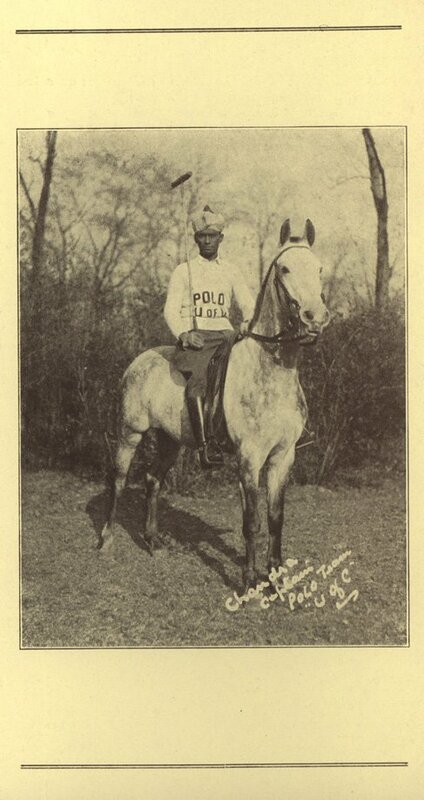 The remainder of the pamphlet includes a quote by Mark Twain, and a photograph of Gonneratne riding a horse and dressed in the uniform of the University of Chicago Polo team. Includes two images of Gooneratne.